It’s back by popular demand! Here’s a new Where In The Universe Challenge. Name where in the Universe this image was taken depicts and give yourself extra points if you can name the telescope or spacecraft responsible for the image. Post your guesses in the comments section, and check back on later at this same post to find the answer. To make this challenge fun for everyone, please don’t include links or extensive explanations with your answer. Good luck! This is a Chandra image of four bright, variable X-ray sources that were discovered within 3 light years of Sagittarius A* (Sgr A*). The variability suggests these are X-ray binary systems where a black hole or neutron star is pulling matter from a nearby companion star. Such a high concentration of X-ray binaries in this region is strong circumstantial evidence that a dense swarm of 10,000 or more stellar-mass black holes and neutron stars has formed around Sgr A*. For more images and info see the Chandra website. Sgr A* in the center of Milky Way, taken by Chandra?! OK, you got me there. Have changed the wording…. but I see someone has beaten me to it. your all wrong but it looks like god giving us the finger. Centre of our galaxy ‘Milky Way’ – Chandra X-ray Observatory – around January 2005 I think. Looks like an X-ray image of the centre of a galaxy; not sure. By Chandra maybe? Region around Sagittarius A. This is an X-Ray, image, I suppose, taken by the Chandra X-Ray observatory. 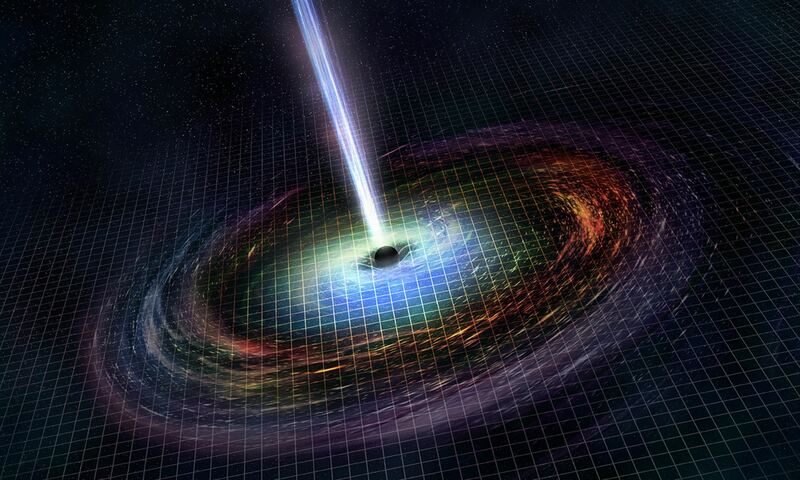 Probably having many Black Holes…. If Sag A* has more than one SMBH there might be more of an AGN to our dear mom, the Milky Way. You don’t want to see it angry. I think I’m very late….